I live in Dublin. North County Dublin to be precise. On dry days we like to get out and there is nothing the kids love more than to hit a local playground. We are spoilt with some really great playgrounds around us. With the weather hopefully set to improve over the coming weeks and all of us coming out of hibernation I thought it would be good timing to share my five favourite playgrounds in North County Dublin. In my current home town of Donabate lies Newbridge House and Farm. 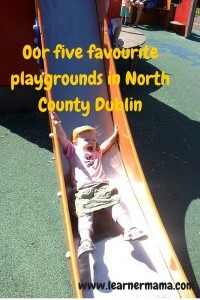 Within Newbridge demesne is a large Adventure playground. My kids love it. There are two sections; one for young kids and one for the older ones (although my 3-year-old will venture into the older kids area on quieter days). For us the proximity of the playground to our house is the draw for us. It is the closest playground to us. I love to pop down on a dry Monday morning with my baby girl as it’s usually very quiet and enjoyable. It can get very crowded on sunny Saturdays or even at 10am during school holidays when bus loads of kids seem to arrive however there is loads of space, toilets adjacent to the playground and with the house, farm, tea rooms and large grounds there is plenty to occupy and make a fun-filled day out. I was born and bred in Malahide and lived minutes from Malahide Castle. 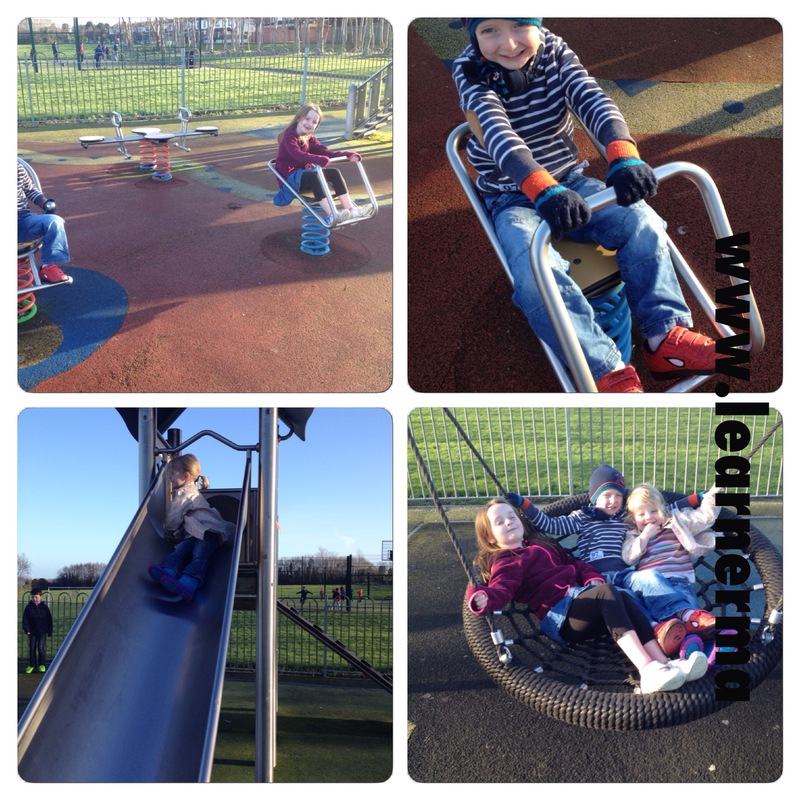 It is a great spot and the more modern playground is a big hit with my kids. They tend to visit with Granny and Grand dad or when visiting Nana and Grand dad but again, like Newbridge it is a large space with loads for kids of all ages. Avoca is nearby and the Castle itself is only a short walk from the playground. Another playground that warrants a day out. With unique breathtaking views on a sunny day Ardgillan castle playground, situated slightly further north, just outside Skerries (technically address is Balbriggan) is another North County Dublin favourite. There have been a number of occasions one of the kids has had a birthday party within the castle itself and we have used the time to bring the other two for a play in the playground and walk around the gorgeous grounds. The first time I ever went to Ardgillan was during the heat wave of summer 2013 and so my opinion of the place was very much enhanced by the weather. I could not believe the views. Out of this world. If the sun shines get yourself to Ardgillan. This is a small playground in Seabury, Malahide. We just happen to pass it every time we go to my mum and dad’s house. I have had so many requests to go to it. We have been a couple of times in the past, but mostly we are in the car and just passing by. Just recently I specifically drove to the playground. I didn’t even call to my parents. They had a blast. It was a quiet day at the playground and they got to go on everything and had a blast. I wouldn’t rank it as the best playground but there is just something about it that is attractive and endearing. On the downside parking is limited. It is definitely designed to be walked to and there are no toilets nearby. We parked at the shops across the road and thankfully no one needed the toilet while we were there. That said we will definitely be paying more visits in the future. 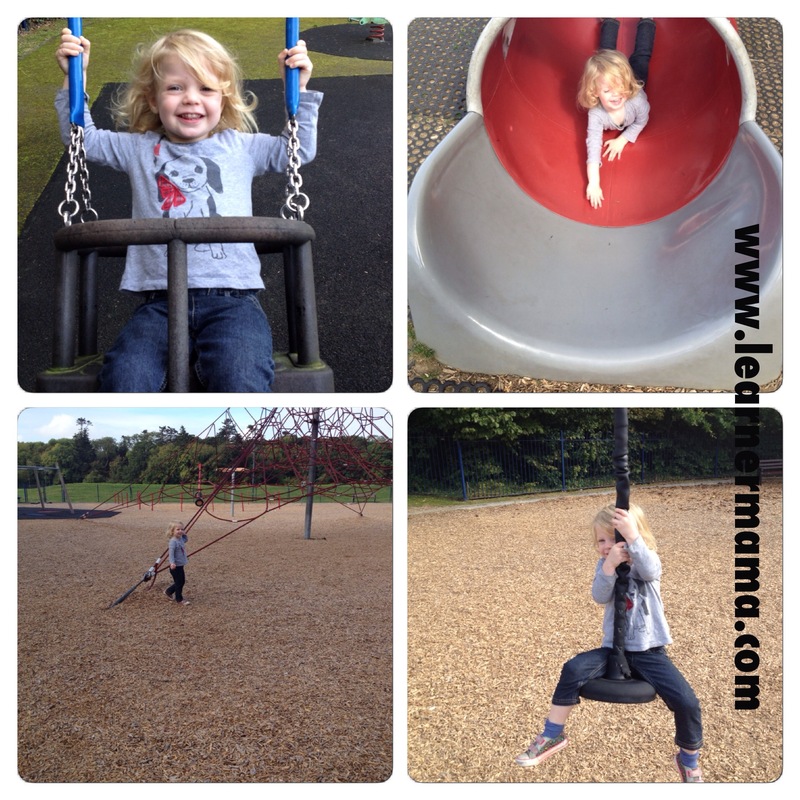 A lovely playground with great coastal views is the playground near Robswall between Malahide and Portmarnock. My husband’s grandmother (my kids Great Grandmother) lived nearby until recently and so we were familiar with it. We have also used it as a meeting point with my parents-in-law which included a coffee and bite to eat in the cafe right beside it. There is plenty of parking and the cafe is pretty good and family friendly. Do you have any to add? What are your favourite playgrounds in your area? Do comment and let me know. Next articleHas the Shopkins bug hit your house? It has mine. its not Dublin but very nearby in Laytown there’s another great playground, well worth a visit. Seeing playgrounds make me feel like a kid again.